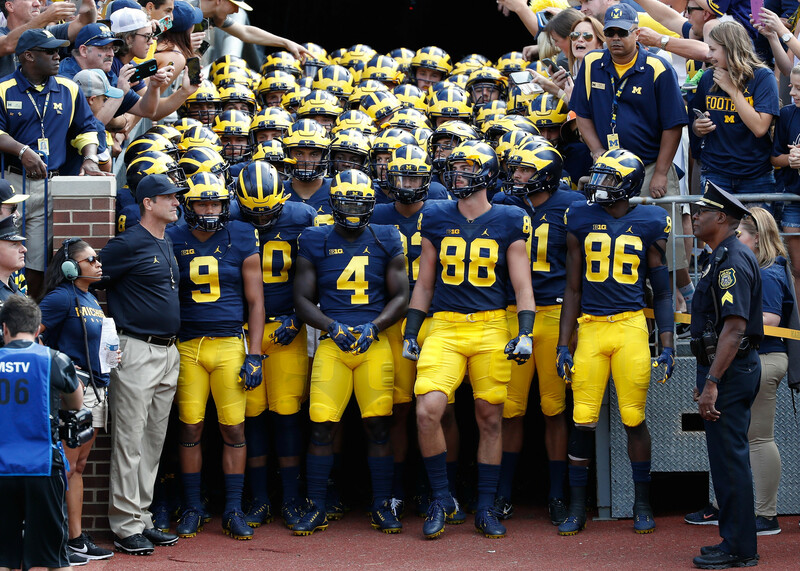 SMU will travel to Michigan to play in an American Athletic vs. Big 10 match up. Weather shouldn’t be a factor. The temperature at kickoff will be in the low 80s with light winds. There is only a 10% chance of precipitation. The game should be a sell out which would lead to a good atmosphere for the Wolverines. SMU hasn’t gotten off to the best start. They lost both games by a wide margin. The biggest issue with this team is defense. They have given up 40+ points in both their games. Their first game was against North Texas in an American Athletic conference game. They could not stop the pass in this game. They gave up over 450 yards in the air. Their second game was against a Power 5 team, at home. In this game, they gave up 239 yards on the ground. They have proven that they have trouble stopping the run and pass. They lost by 30 at home against a team that is ranked about the same as the Wolverines. The offense isn’t much better. They complete about 44% of their passes and they average less the 3 YPC on the ground. Their isn’t much good with this team. They haven’t even been able to cover a spread this year. People seem to hate Jim Harbaugh. He has a brash attitude and seems to make waves at every coaching stop. Everyone jumped on Harbaugh for losing his first game but take a step back and look at the situation. They were on the road against the #8 ranked team. They were starting a brand new quarterback and only lost the game by one possession. Look at the stats from Shea Patterson. He was 20-30 for 227 YDS with 1 INT. He was much improved in his second game, 12/17 3 TDs 0 INTs. It was against a non Power 5 team but he has had a few games to get acclimated to the offense. They also have two running backs that are averaging over 6 YPC. Their defense has been good too. They have only given up 3 points in their last 6 quarters. The Wolverines were able to beat a team with the same amount of talent by 46 points last week. They also have a coach that everyone is bashing. Harbaugh knows that he needs to win big to keep the boosters and media off his back. This is a bad recipe for SMU. They wont have the defense to stop a surging Michigan QB and they don’t have the horses to put up big points on a good Big 10 defense. The trends also favor the Wolverines. SMU has yet to cover a spread this year. Joel is a Florida native studying Sports Management. He has been watching the NFL and NBA across three decades. He also has extensive knowledge on all things combat sports. This knowledge gives our readers confidence that his pickes are based on history and extensive sports experience.